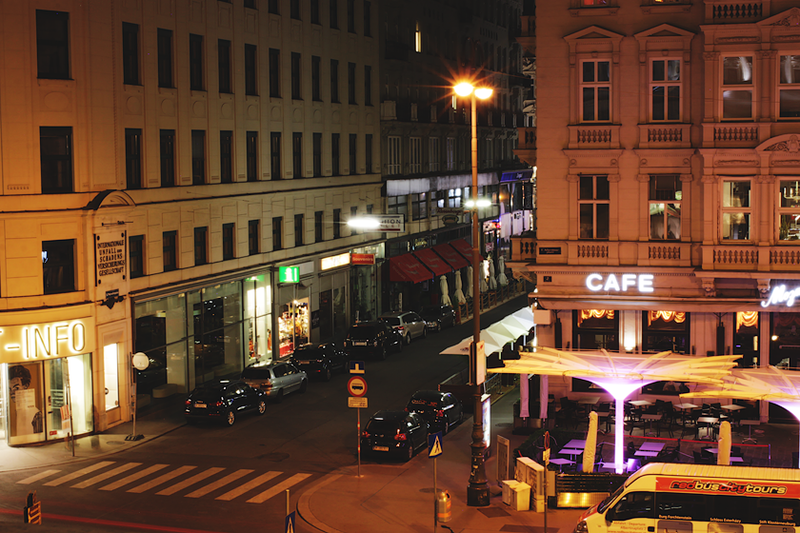 Vienna is my favourite city on Earth, you might know that already. 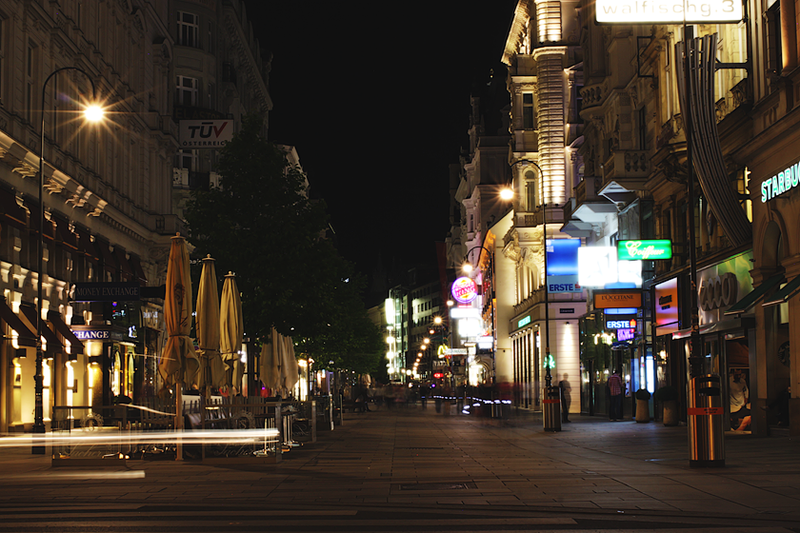 But I haven’t taken long exposure photos of Vienna at night since I moved here 1,5 years ago. Not until yesterday. It was so amazingly cool, seriously! 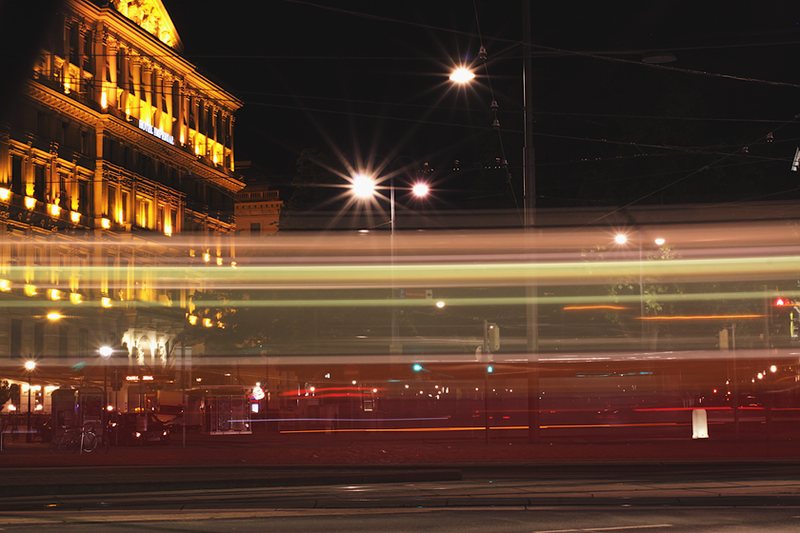 Capturing 30 seconds in one photo is beautiful, especially if you do it at Karlsplatz or the Opera House at night. 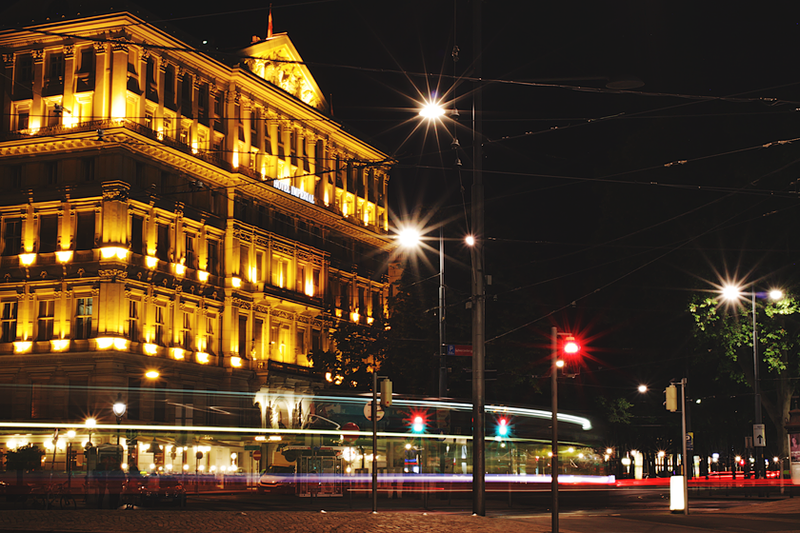 Welcome to the Vienna at Night Galery – mostly Opera and Schwarzenbergplatz. 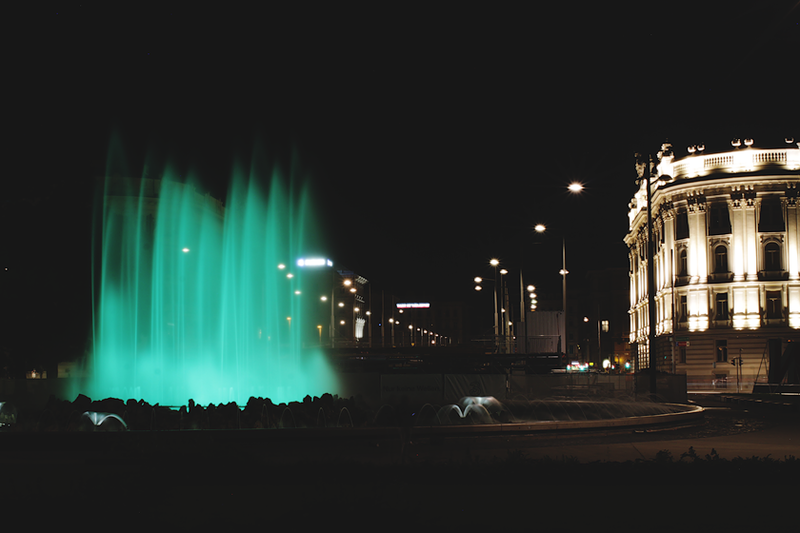 Beautiful Albertina with Franz Statue in front of it (did you notice it’s probably the dirtiest statue in the whole city?). And then finally! 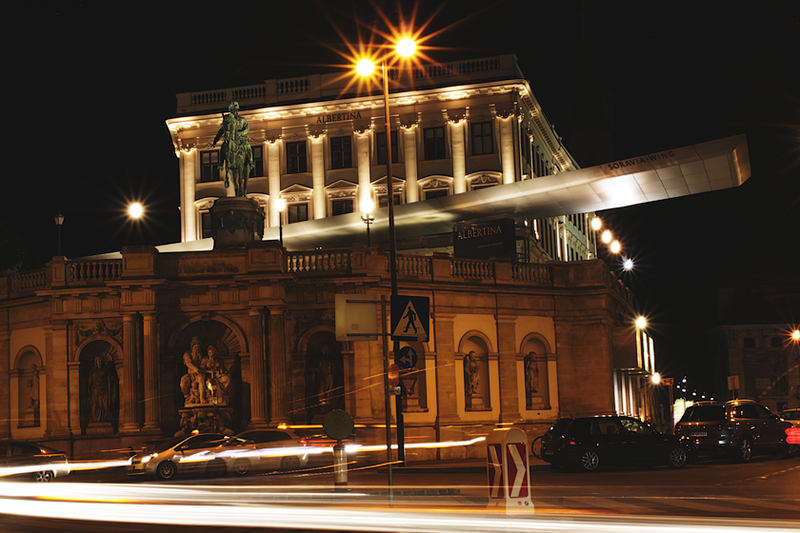 One Viennese car driver was nice to me. Quite difficult to capture people at night, this street was pretty full of people actually. But as they all kept moving you cannot see more than shadows here. 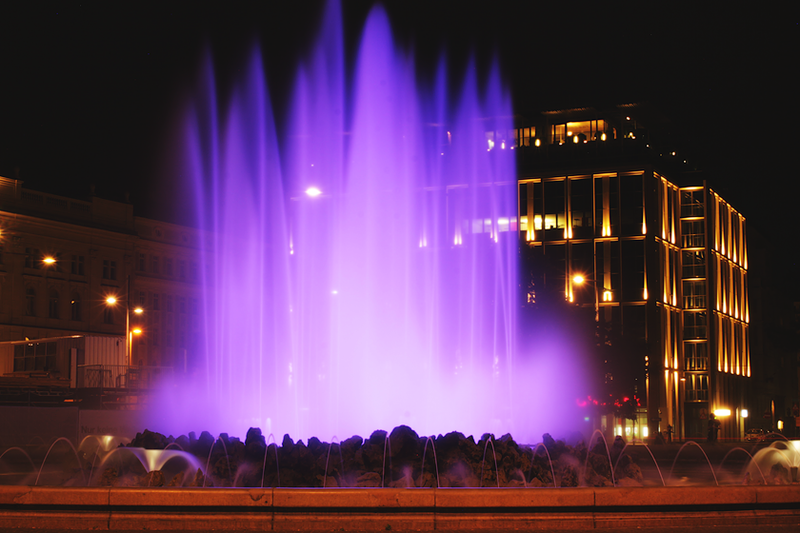 No better place for Vienna at Night than Schwarzenbergplatz and it’s fabulous fountain. Especially in hot summers. 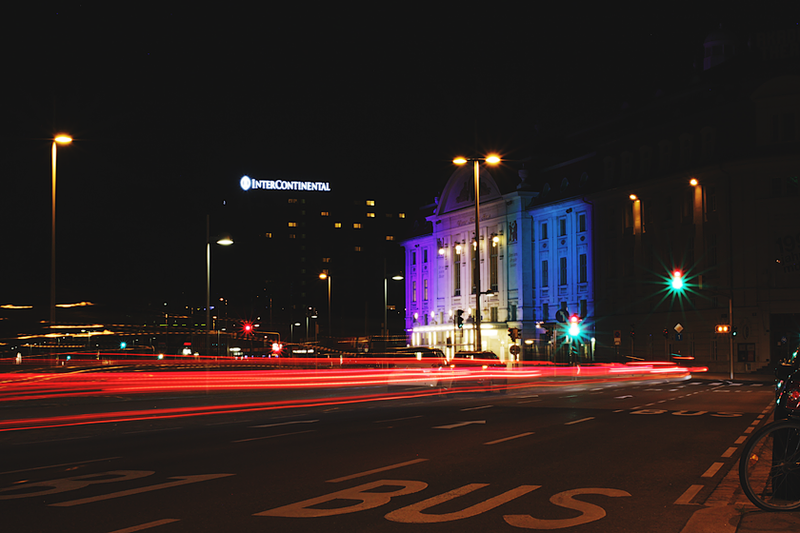 Some buildings have amazing lights shining on them, like the Konzerthaus. Look at these beautiful colors! Maybe one of my favourite photos! Karlskirche looking though the buildings in Schwarzenbergplatz AND the beautiful tram passing. Perfect moment to capture. The best self-portrait I’ve ever taken. The Ring is maybe the most photographed thing in the city. 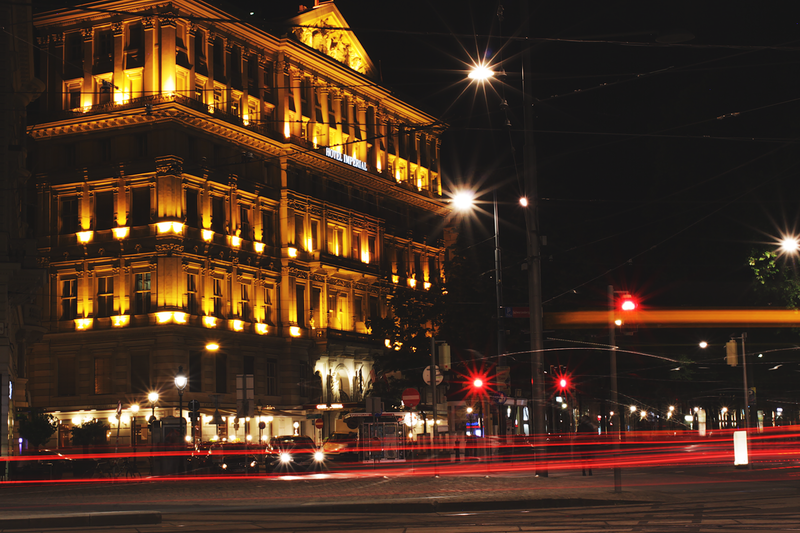 At daylight, I haven’t even noticed Hotel Imperial, but in this photo at night it’s so beautiful I don’t know how that could happen. The passing tram was a perfect fit to it. 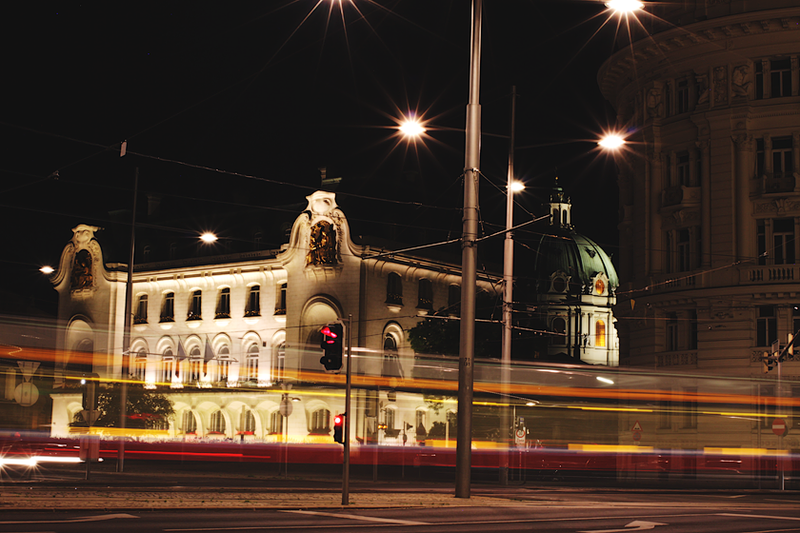 And that’s how it looks when the tram passes through too slow. 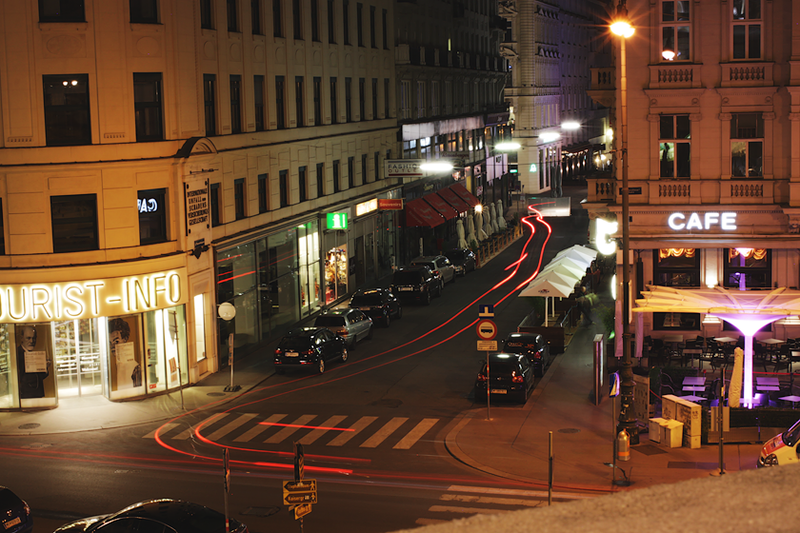 Or the long exposure is not long enough to capture the street behind properly! 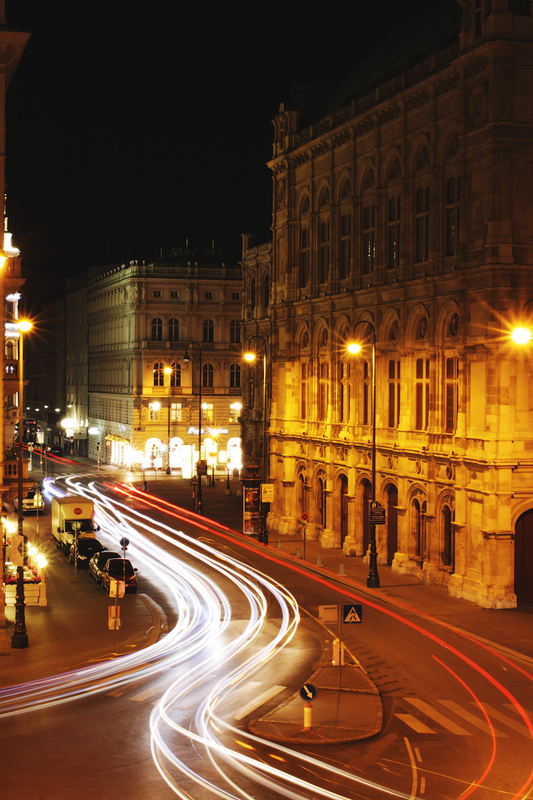 Vienna at Night is also great behind the Opera House, view from Albertina. 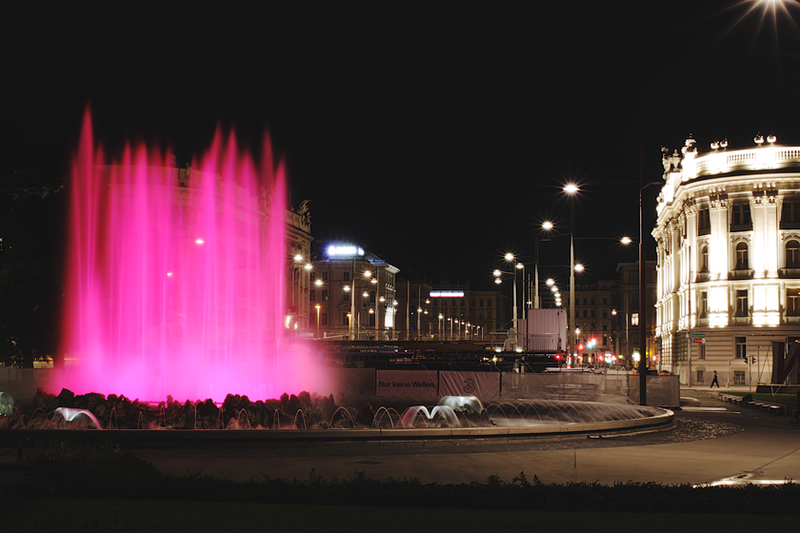 Coming back to Schwarzenbergplatz: I really dislike the color pink (especially in clothes), but this pink here is just perfect in the surrounding it is in. Don’t you think? My mom liked this photo most: Looks like a lake outside of the city, she said. 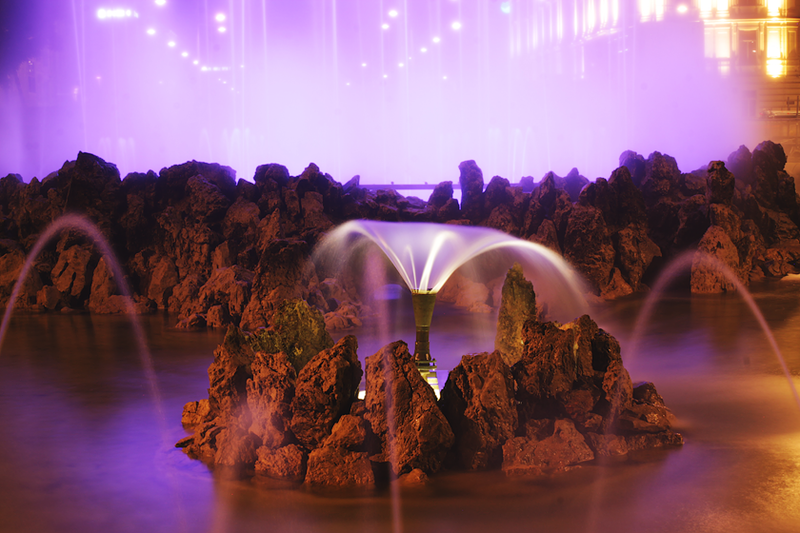 No, it’s the fountain at Schwarzenbergplatz, as well. The Ring from the other side: The white light are the cars, in case you were wondering. 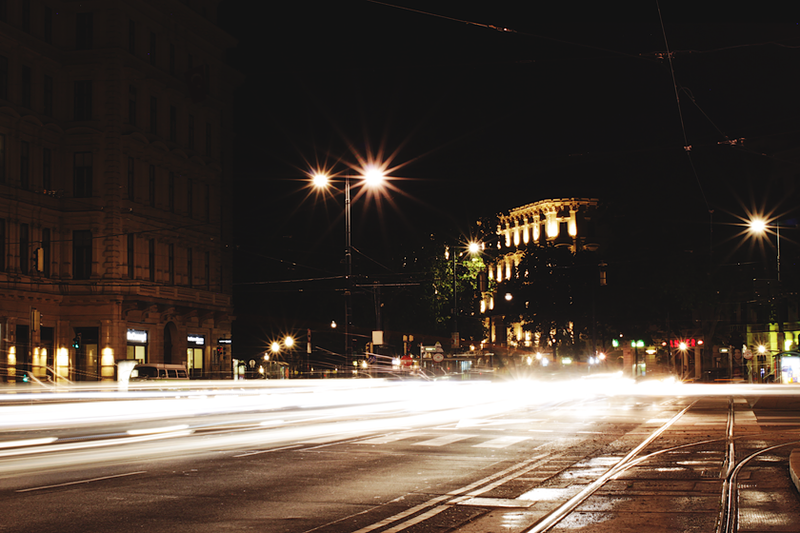 Do you actually know how long exposure works? You basically make your camera take a photo for some long seconds, that way you capture more light and everything that moves will be captured in all its positions. 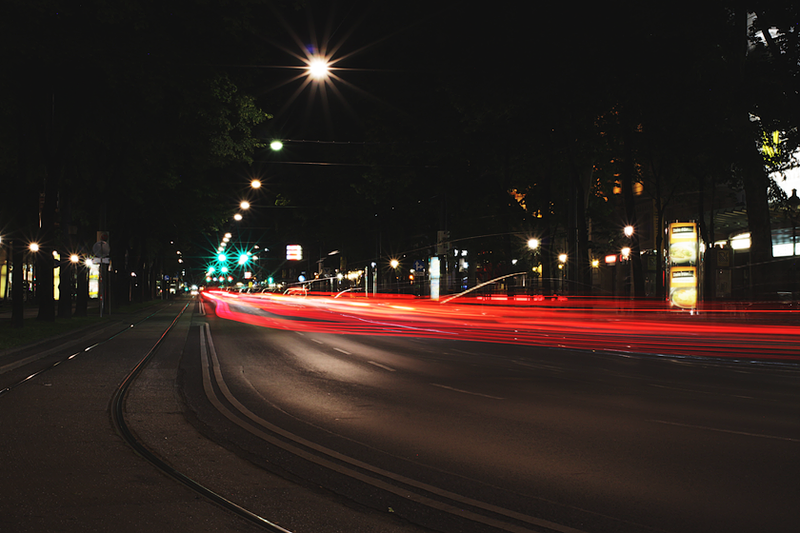 So car lights, which obviously move the whole time, appear as lines of light. Beautiful thing. 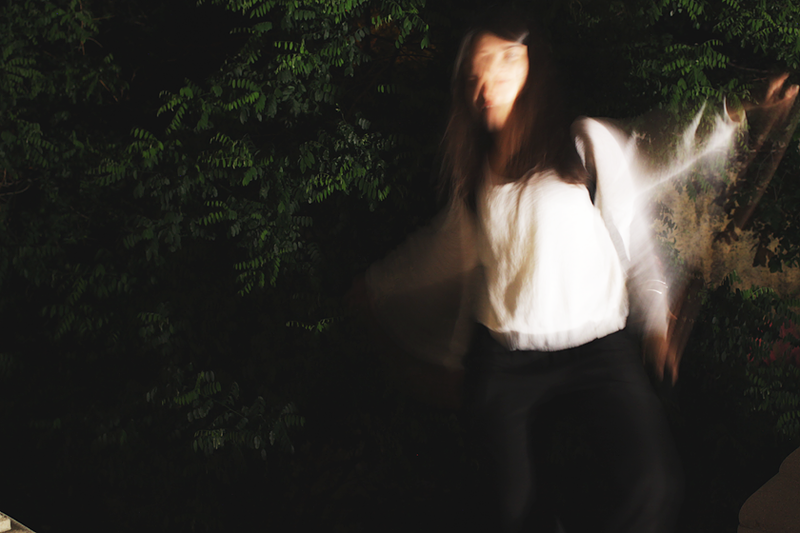 These photos were mostly taken for 30 seconds. 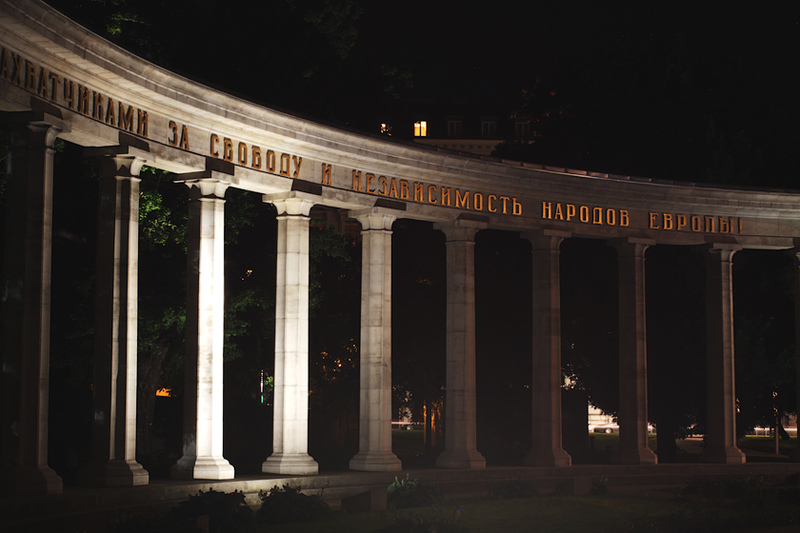 The Soviet Monument is a must when visiting Vienna at Night. I have to admit, soviet architecture is not really my favourite. But it’s impressive, really. Even the flowers look like the Soviet Union.